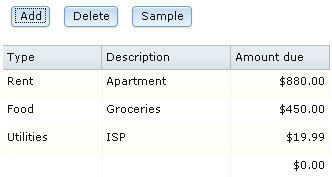 You now declare a service-access variable, which will let you communicate with the service that you defined earlier. 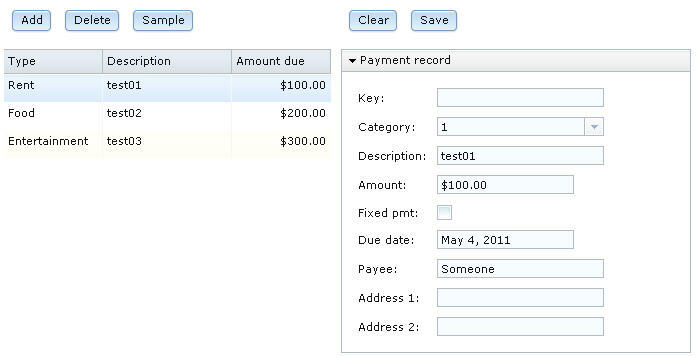 EDT uses the term "dedicated service" to refer to a service deployed on the same server as the Rich UI Hander. You do not need to specify any location information for services designated as dedicated service. 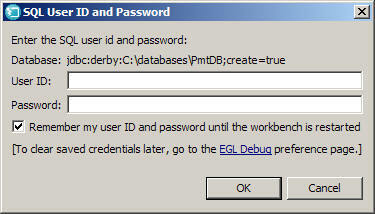 Near the top of the EGL source code, find the handler declaration for PaymentFileMaintenance. 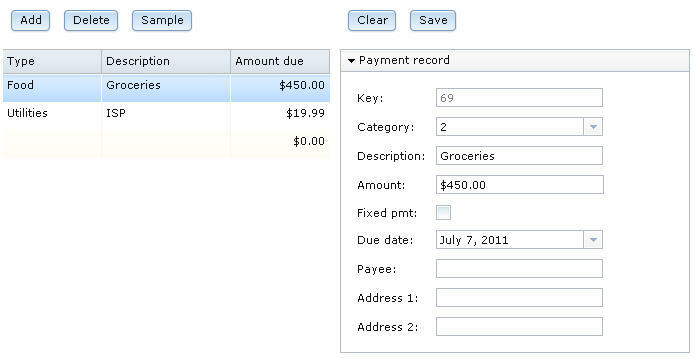 Add a blank line, and immediately before the ui GridLayout declaration, add the services variables. 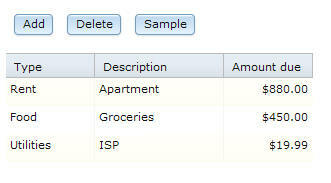 The @dedicatedService property indicates that the service being referenced is a dedicated service. The HTTPProxy type indicates to the handler that it should call back to the server from which it was loaded to invoke any service called with that binding variable.